The recent meeting between the two partners of the Grand Alliance, Samajwadi Party and Bahujan Samaj Party leaders seems to have displeased the leaders of Rashtriya Lok Dal (RLD) after they learned that their party would be getting only two seats in the seat-sharing formula in Uttar Pradesh for the forthcoming Parliamentary elections. 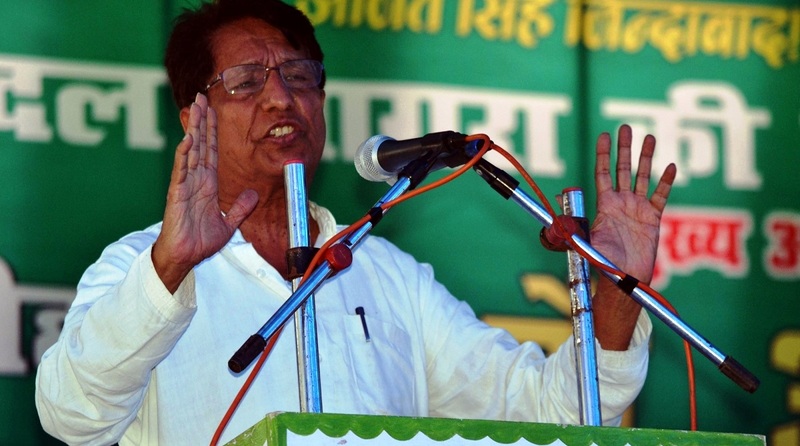 Though RLD chief Ajit Singh and his son and party vice-president Jayant Chaudhary have not yet reacted on the matter, but the party leaders here seem unhappy with the seat sharing arrangements. “Party has a potential to win at least five seats and we are hopeful on contesting on these as part of the Grand Alliance,” said party spokesperson Sunil Rohta, adding that they are yet to get official information yet. The party leadership will take a decision accordingly and at the right time, he added. According to the party sources, Ajit Singh and Jayant Chaudhary will look into the matter. It is believed that at the recent meeting between Akhilesh Yadav and Mayawati, the formula which has been chalked out for seat sharing gives only two seats to the RLD. This has come as a disappointment to party supporters and workers here who have been enthusiastically working in their respective areas for the 2019 elections. RLD, which could not win even a single seat in the last Lok Sabha elections in 2014, and managed a solo seat in the last assembly elections, is working hard to revive its lost glory. Its victory in the recent Lok Sabha by election in Kairana, fought with the support from the BSP and SP, has filled it with new enthusiasm and optimism. Ajit Singh and Jayant Chaudhary had managed to bring together Jats and Muslims for the Kairana by election which ensured the victory of party candidate Tabassum Hasan who defeated BJP’s Mriganka Singh, daughter of late heavyweight leader Hukum Singh. Party leaders feel that RLD, in an alliance with SP and BSP, can win elections on many important seats of western UP with their ‘Jats-Muslims formula.’ These seats include Mathura, Baghpat, Muzaffarnagar, Kairana, Amroha, and Bulandshahar or Hathras. Baghpat has been a traditional seat of the RLD from the times of late PM Chaudhary Charan Singh, father of Ajit Singh.